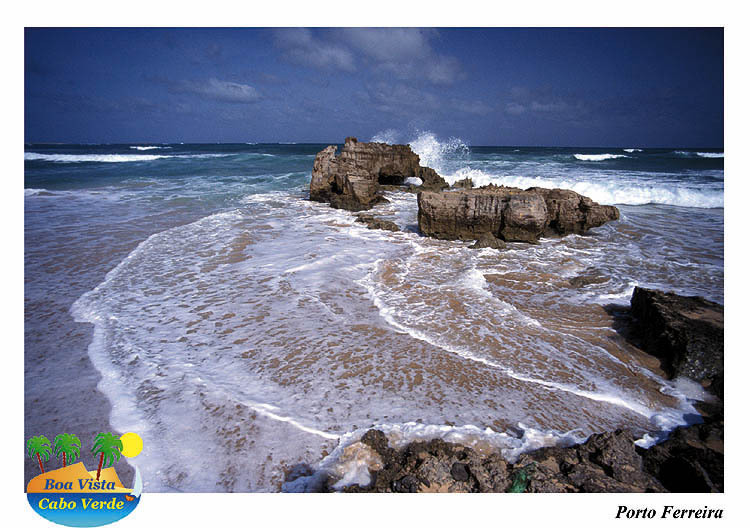 With dive and surfspots, beaches, all the new roads and 8 hikes. 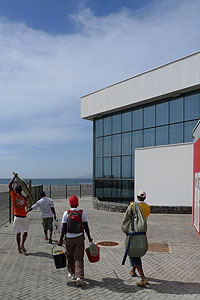 The most in-depth guidebook on Cape Verde is brandnew in the bookshops - 8th edition!! Nevertheless, changes constantly occur. 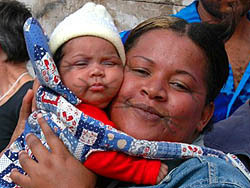 We threfore put all important updates on the site Adenda. Enjoy reading German as we enjoy reading English! already in the bookshops ! updated after the eruption 2014/15. 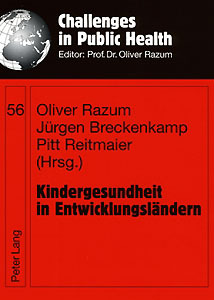 formerly published by Goldstadt-Verlag Pforzheim, is in its 1st Edition at AB Verlag Karlsruhe. 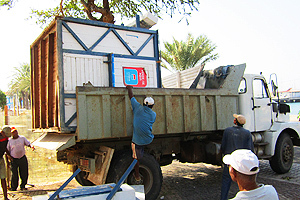 the old kiosk of the municipality of Mindelo retires! On the truck it dismantles itself into firewood, dilapidated as it is. Um ka ta podé mais! Still Praça Aurélio Gonçalves is under reconstruction, but the kiosk from Porto Novo has made the leap over the sea. into the ground floor of the brand new modern ferry port building. The scale has changed to 1 : 50 000 and the map occupies both sides of the tear-resistant paper. got a new publisher: AB Verlag Karlsruhe. new edition at AB Verlag Karlsruhe. The extensive literature review on health problems and health service problems concerning children in poverty shows an actual global picture of risks, burden of disease and efective solutions. Chapters on the history of child health help to understand the crucial relationship to "distant factors" like peace, economy and social politics. 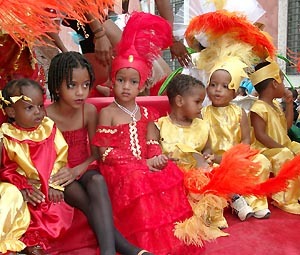 In the chapters on management of child health related social and health services, the authors make use of their extensive personal experience in a variety of countries, including the Republic of Cape Verde. 231 S., 16 Abb., 40 Tab. Even GPS-Data are available on CD-Rom. Thousands of top-quality picutes to watch. Licensing vor web and print possible. 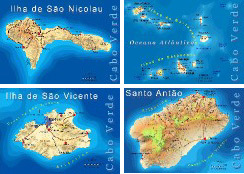 The bestseller, the hiking map of Santo Antão is updated in 5th edition. As Porto Novo town became a CIDADE recently, we thought it appropriate to include a nice little City Map. The accommodation list, meant to be a permanent update of our books, is modernized. 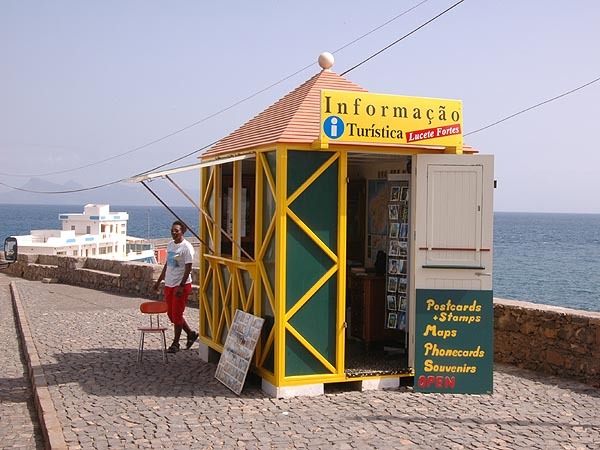 Now it is possible to use a translation-routine to contact the Hotels and Pension. 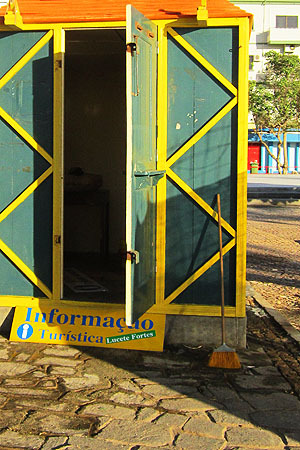 This translation service makes it easier for none-portuguese speakers to contact the receptionists. 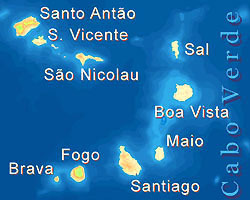 Atila intoduces a chap from the Alps to hen das Diving on Boa Vista. Timetables of ferries drive everybody crazy ... not for the first time. 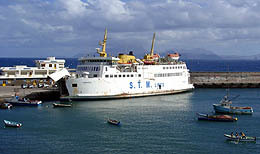 We know it is impossible to ever have the Schedules of Ferries up to date. are in the shops and sold via Internet as well. is online in three languages. 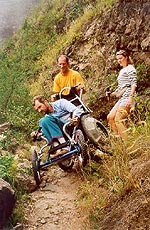 If you thought there are no hiking trails .... take the boots with you! 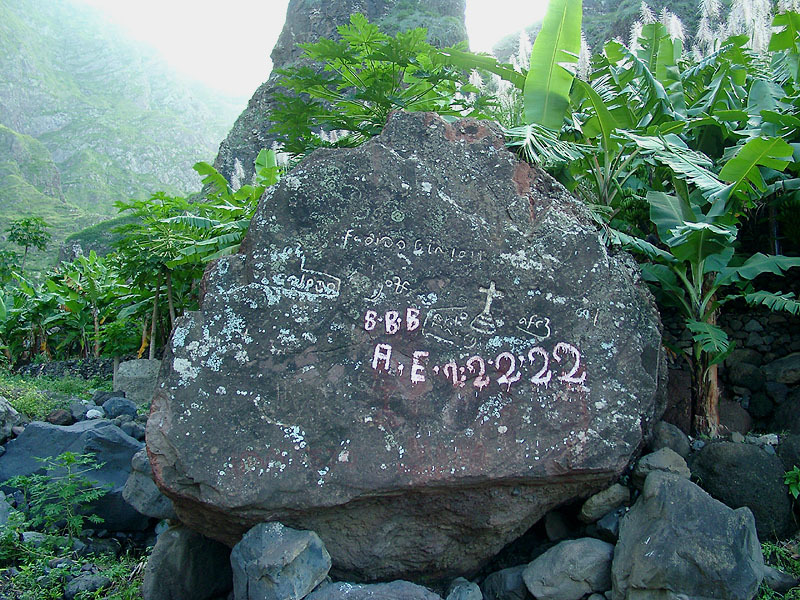 with its historical inscriptions has triggered a lot of discussion in our Forum. So we made a special site to get it to know. GPS Programm TRACKMAKER supports USB. Our CD rom with GPS-Data has it incorporated. Many Thanks to Odilon Ferreira! is super. Three colourful days. 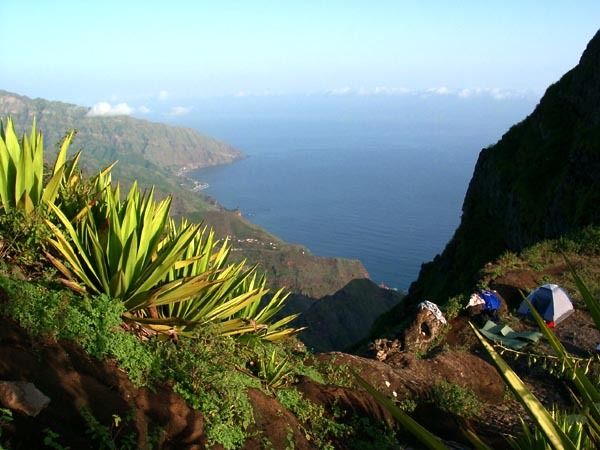 cape verdean lady mountaineer, experienced in Cape Verde, Africa and Europe, has become entrepreneur. 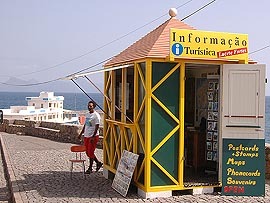 at São Vicente, she sells postcards, travel guies, maps, phonecards and offers travel information. from Grenoble is back from a challenging holiday in Santo Antão, where he conquered quite difficult trails in his off road wheelchar.